Review: It is St. Patrick's Day on the west side of the pond, though luck is not exactly on Helena Wayne's side as Nedra Borrower uses the news media to turn the public against her. I always want to crack a "who watches the watchmen?" joke every time I get to this story arc because of how much that idea has become a trope most notably post-Crisis after Alan Moore and Dave Gibbons' Watchmen became an unprecedented hit in 1986. 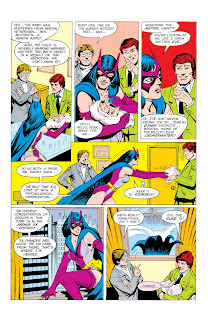 Getting back to discussing the story itself, I would say this is probably the story where Helena Wayne's life starts to spiral downwards. On one corner, you have the reporter Nedra Borrower (who returns this issue) conspiring to destroy her reputation to the public by asking a very basic, yet important question: can the Huntress really be trusted? Though Nedra obviously has ulterior motives, preying on that primal fear in Gotham's citizens especially after living with the presence of Batman almost half a century earlier is how she gains support against Helena. It is, after all, a valid question. Why place trust in unsanctioned vigilantes over actual authorities when those same vigilantes also get people killed? Helena's father certainly left bodies behind in his earlier years as Batman, and no one batted an eye. Though Helena has not left half the body count as her father in the seven years that she's been patrolling Gotham's streets as the Huntress, she has nonetheless still left some bodies behind with her most recent casualty being the Undertaker--a "victim" Nedra no doubt latched onto to gain the public's support. Now she's just waiting for the Huntress to make her next move to continue her case against her. On the other corner of Helena's quickly downward-spiralling life is Helena herself. Since her deadly fight with the Crimelord a year earlier, followed by her deadly case against the Undertaker, Arkham Asylum, and now her latest case against human trafficking, Helena hasn't been feeling alright. 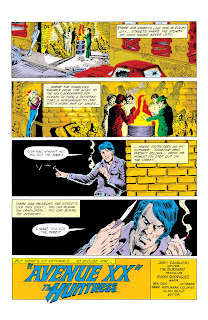 She started doubting herself when she was captured by Prof. Fether and Dr. Tarr, who shot her with a highly potent hallucinogen that forced her to confront all of her deep-rooted fears. If that wasn't bad enough, her relationship with Harry Sims has continued to deteriorate with him continuously shaming her for every mistake that she makes as the Huntress. The rest of the story sets up for Helena's eventual confrontation with the Earthworm. Just what exactly he brings out of her is the discussion for the following chapters.